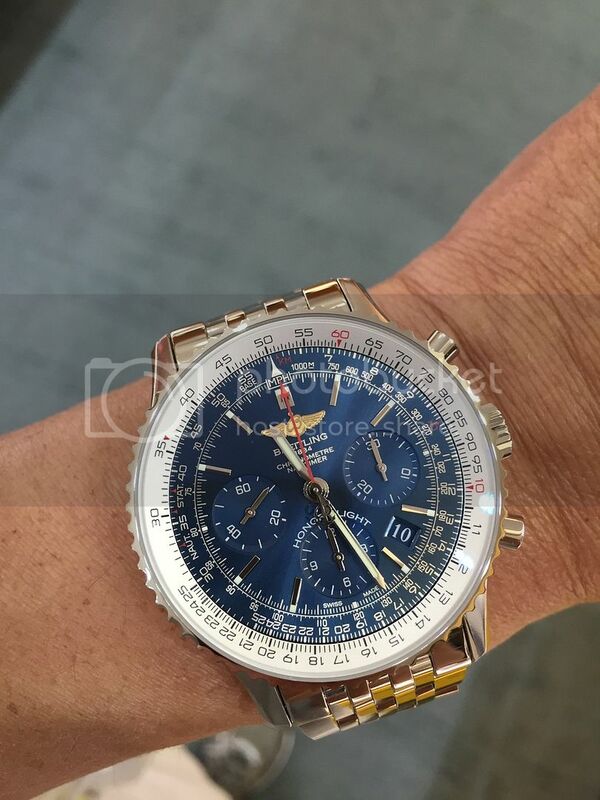 TimeZone : Public Forum » New Breitling blue Navitimer (Honor Flight) for 2015? Hello all. LONG time avid reader, first time posting. I came across this watch today but have never seen it before. I've googled it and checked the Breitling website, but can't find any info. 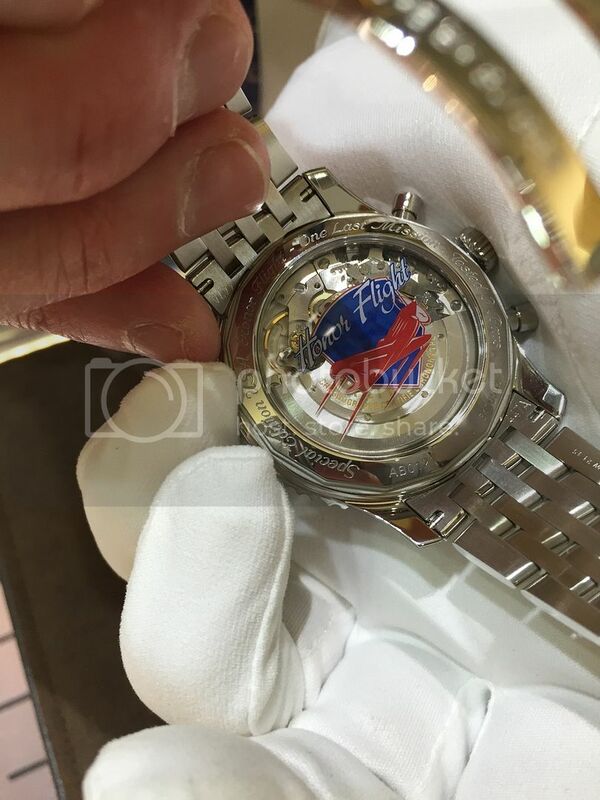 This 2015 Honor Flight version has Blue subdials, the words "HONOR FLIGHT" above the six o'clock subdial, and a large (rather garish in my opinion) blue logo partially covering the sapphire crystal on the back. Otherwise looks exactly like the Blue Sky above. Any thoughts? Really thinking of jumping on this. Have always loved the iridescent Breitling Blue, and have always loved the Navi. Now I can get both at once! Anyone have any info on this watch?